Our couture sewing service produces historical and period garments. 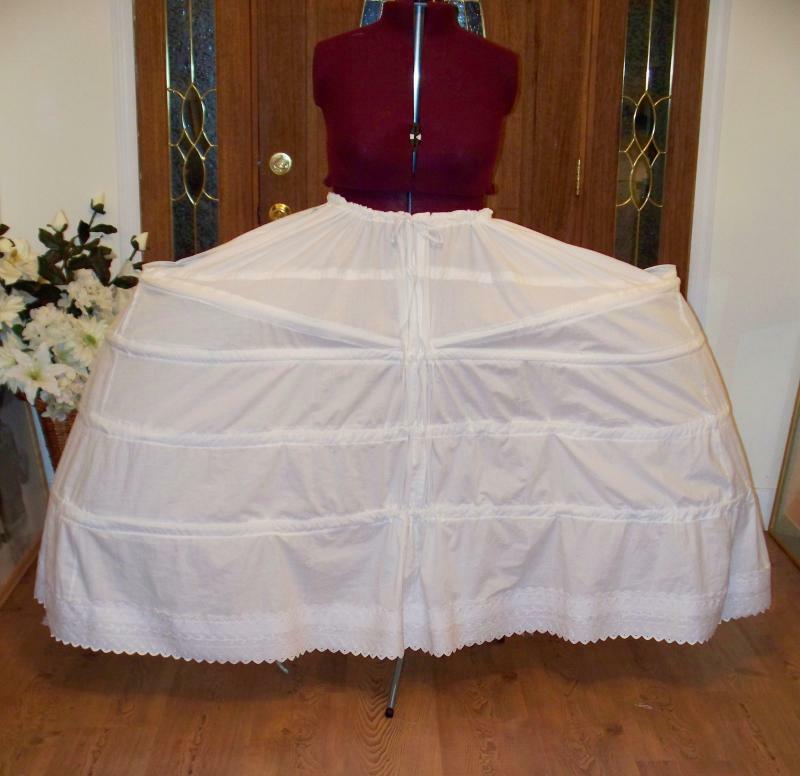 Most historical and period garments require support cages and frames such as hoops, farthingales,panniers,bustles,and more.For the Victorian era, we make well constructed bustle cages. These cages are sold to costume boutiques and stores worldwide. We also make the cages for individuals, historical commissions organizations.drama productions,theatre,opera, and more. The bustle cages custom made to size. Our Marie Antoinette cage frames are sold worldwide. Opera, theatre,faires,carnivals,Mardi Gras,drama,plays,movie productions,school and university drama, waltz and balls, the panniers are mega show stoppers.The extra wide panniers are wider than a 48 inch door. The extra wide panniers are excellent for stage presentations and dramas.We also make the panniers in smaller sizes such as the 28 inch and 32 inch wide. The 28 to 32 inch panniers are ideal for historical balls.